Continue from Blog W10 after choosing Project A, B and E. Project Manager of PT ABC were requested by CEO to do prioritization process of the Three Project. CEO will evaluate which one to atrat earlier than the others. Then he will know the capital resources funding to support project funding..
As a project manager of PT ABC (Oil Industry), Mr. B need to identify IRR, ERR and Payback period of each project. As project manager, Mr B identify IRR, ERR and Payback Period of each project. But before that Mr. B defines that the MARR is 20% with external reinvestment rate per period is 15%. The type of organization involved (i.e., government, public utility, or private industry). This method solves for the interest rate that equates the equivalent worth of an alternative’s cash inflows (receipts or savings) to the equivalent worth of cash outflows (expenditures, including investment costs). IRR Decision Rule: If IRR>= MARR, the project is economically justified. It directly takes into account the interest rate () external to a project at which net cash flows generated (or required) by the project over its life can be reinvested (or borrowed). 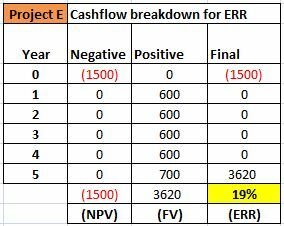 If this external reinvestment rate, which is usually the firm’s MARR, happens to equal the project’s IRR, then the ERR method produces results identical to those of the IRR method. 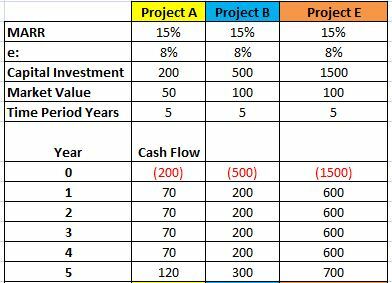 This methods tell us how long it takes cash inflows from a project to accumulate to equal (or exceed) the project’s cash outflows. The longer it takes to recover invested monies, the greater is the perceived riskiness of a project. Project Manager use a criteria such as IRR, ERR and Payback Period to do prioritization rank of the project portfolio. Opportunity cost or the rate-of-return of the best project that is rejected. Interest rate at which the cost and benefit of a project, discounted over its life, are equal. ERR differs from the financial rate of return in that it takes into account the effects of factorssuch as price control, subsidies, and tax breaks to compute the actual cost the project to the economy. The length of time required to recover the cost of an investment. The payback period of a given investment or project is an important determinant of whether to undertake the position or project, as longer payback periods are typically not desirable for investment positions. Project Manager is very concern on whether a higher MARR reduces the present worth of future cash inflows created by savings (reductions) in annual operating costs. The initial investment (at time 0) is unaffected, so higher MARRs reduce the price that a company should be willing to pay for this project. When there is risk or uncertainty in project, a commonly used method is to increase the MARR, thus diminishing the effect of future costs and benefits. Care should be taken since a MARR that is unrealistically low will magnify the importance of future costs and benefits, leading to the erroneous conclusion that a project is either to costly or to beneficial. Internal Rate of Return. The discount rate that makes the NPV of a project equal to zero is called the internal rate of return (IRR). If there are excess profits, the IRR will exceed the risk‐adjusted discount rate, i.e., it will exceed the “normal” or competitive rate of return. 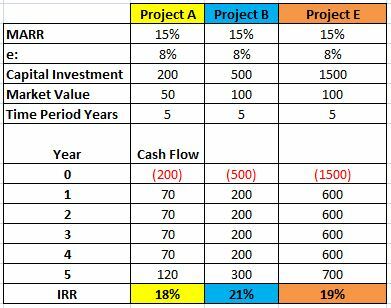 If a project is partly funded by debt and partly by equity, and if the cost of debt is less than the IRR for the project, then the effective rate of return on the equity portion of the project (sometimes called the equity internal rate of return (ERR) will be higher than the overall IRR for the project. Given complete and proper understanding of both the IRR and the ERR, one might choose to employ the ERR in the investment decision-making process. 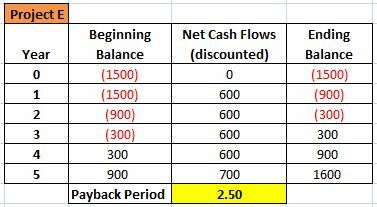 In order to make a fair comparison between two mutually-exclusive investment choices, wherein the magnitude and timing of the cash flows are different, one might choose to make an explicit assumption regarding the reinvestment of intermediate cash flows and the rate at which said cash flows might be reinvested up to the terminal date of the longer-lived investment. 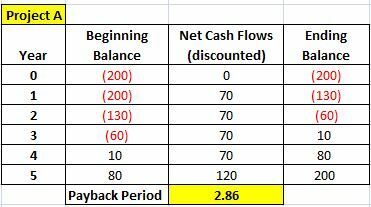 Payback period as a tool of analysis is often used because it is easy to apply and easy to understand for most individuals, regardless of academic training or field of endeavor. When used carefully or to compare similar investments, it can be quite useful. As a stand-alone tool to compare an investment to “doing nothing,” payback period has no explicit criteria for decision-making (except, perhaps, that the payback period should be less than infinity). The payback period is considered a method of analysis with serious limitations and qualifications for its use, because it does not account for the time value of money, risk, financing, or other important considerations, such as the opportunity cost. Whilst the time value of money can be rectified by applying a weighted average cost of capital discount, it is generally agreed that this tool for investment decisions should not be used in isolation. Alternative measures of “return” preferred by economists are net present value and internal rate of return. An implicit assumption in the use of payback period is that returns to the investment continue after the payback period. Payback period does not specify any required comparison to other investments or even to not making an investment. 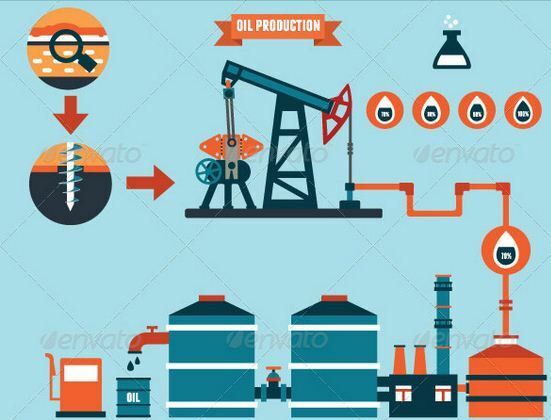 In the beginning seems like CEO already have an opinion that Project E is favorable than other project, since the project may produce more oil production. But after do the IRR, ERR and Payback Period Analysis, The project manager showing the new analysis that Project B is favorable than other project. Project Manager proposed to execute Project B first than the other project. 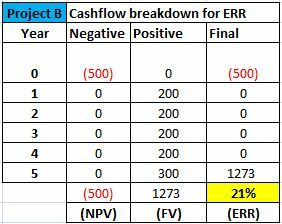 Project Manager do detail calculation of IRR, ERR and Payback Period Analysis for prioritization project portfolio. The decision may go wrong if the Project Manager didn’t calculate IRR, ERR and Payback Period Analysis. As a project manager PT ABC, Mr B. has already do detail calculation of IRR, ERR and Payback Period Analysis for prioritization project portfolio. This is a team process and should not be done by the Project Manager alone. Project Manager plan to engage the project team to analyze and do cash flow analysis between them. Project Manager proposed execute Project B first than the other project. When a firm is presented with a capital budgeting decision, one of its first tasks is to determine whether the project will prove to be profitable. 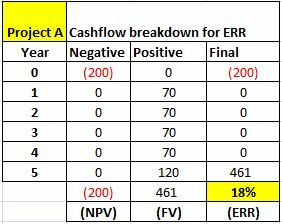 The net present value (NPV), internal rate of return (IRR) and payback period (PB) methods are the most common approaches to project selection. Although an ideal capital budgeting solution is such that all three metrics will indicate the same decision, these approaches will often produce contradictory results. Depending on managements’ preferences and selection criteria, more emphasis will be put on one approach over another. All the above mentioned capital investment appraisal techniques are used for ranking projects. Usually, organizations have many projects that are appraised simultaneously for financial viability. Once the preliminary appraisal of a project is completed, it is compared and ranked against other peer projects. The projects in consideration are ranked from high to the low. The higher ranking projects are usually implemented after careful and detailed due diligence. Sullivan, Wicks & Koelling (2012). Engineering Economy. Chapter 5 Page 202, 216, 227, 229, 233. 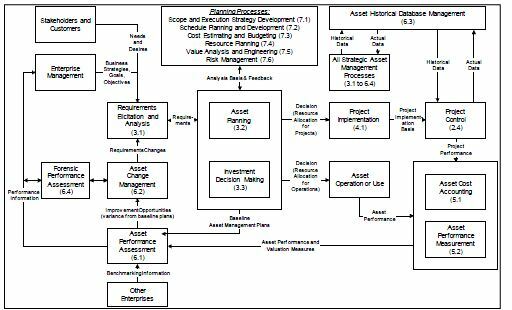 AACE (2011).Total Cost Management Framework: An Integrated Approach to Portfolio, Program, and Project Management. Chapter 2 Page 24. AACE International (2012). Skills & Knowledge of Cost Engineering. Chapter 27 Page 27.4. AWESOME case study and great job on your analysis!!! Not much I can add to this……!!! Just keep up the good work and get that paper out of the way this week either that or descope it….